Welcome Princess Charlotte Elizabeth Diana Windsor! 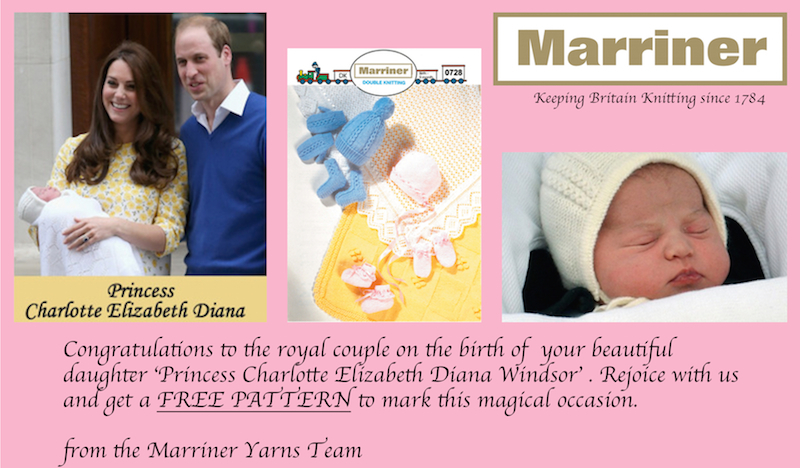 Join us in celebrating the birth of Princess Charlotte with a free pattern with any purchase of Baban yarn – Now only £1.95 per 100g. Rejoice with us at the wonderful news of the birth of the Princess. Wrap up your little prince or princess in these cute knitted items, this pattern includes a shawl, blanket, mittens, hat and bootees. This offer is due to finish in 2 weeks time on 22nd May at Midnight so get yours today! 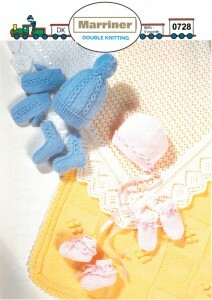 The easiest way to enjoy your Free Pattern…. Fill out the rest of the details as usual and we’ll make sure you receive your pattern with your order!! Shawl requires 4 x 100g Ball.